We have a range of Window Lock Keys at Lockcentre including some of the best products from reliable manufacturers such as 'Chubb', 'ERA', 'Bramah' 'Ingersoll' and 'Fulton and Bray'. The Window Lock Keys only match up with certain Window Locks so be sure to check the details, these are shown in the product descriptions underneath the individual product images. Most of these products offer 2 keys per order purchase which covers any loss or damage issues which may arise in the future. 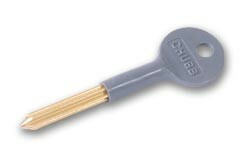 Alternatively you could chose to simply distribute the spare key to another party if they are in need of a key.